The 5K monitor has landed, with the launch of the 5K iMac and the upcoming release of a 5K Dell monitor. We’re taking the next big step in screen resolution. When we already have Retina-class and other high-res displays, though, it's natural to ask whether 5K delivers a difference worth the premium price. 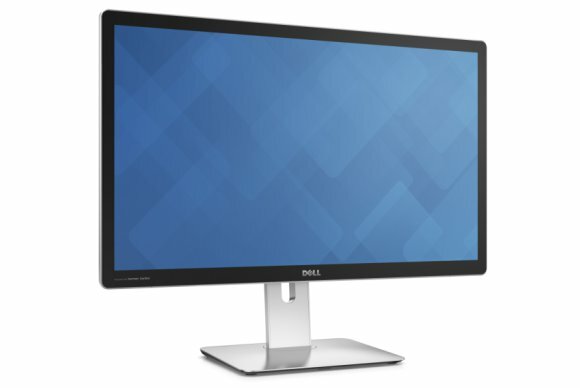 Dell's 5K monitor shown above, for instance, will sell for a wallet-splitting $2500. We'll show you the answer using just two display specs. Within a single product category, the simplest way to compare screen sharpness is pixels per inch, or PPI. For example, here are the current smartphones with the highest PPI on the market. This comparison might oversimplify things a bit (what about screen size? display technology? ), but it’s still reasonable. The smartphone with a higher PPI tends to have a crisper screen. But what about across multiple device categories, from smartphones to TVs, tablet to computer monitors? Using the same PPI comparison, a 27-inch, 5K display is nothing special, only marginally better than a 2012 iPad Mini. See how 23 popular devices stack up by PPI below. CLICK TO ENLARGE: Pixels per inch (PPI) are one way to compare display crispness, but it doesn't tell the whole story. Unfortunately, comparing PPI across multiple device categories isn’t a fair fight. First, consider how drastically screen size can vary. A 27-inch monitor at 218 PPI might be no crisper than a 4-inch phone at 218 PPI, but the monitor gives you over 40 times the space and 40 times the pixels (14.7M vs. 364K), with no compromise in sharpness. That’s 40 cat videos, 40 Minecraft windows or 40 photos all rendered at the PPI of a decent phone. Second, consider viewing distance. With a 4-inch phone, you’ll probably hold the device around 12 inches from your face in order to read text or navigate menus—close enough to spot individual pixels below around 300 PPI. With a 27-inch display, however, you can sit or stand several feet away without sacrificing your viewing experience. As a result, even a PPI of around 150 will still look pretty sharp. So instead of PPI, what we’d really want to find is a stat that factors in screen size and viewing distance, something that accounts for the trade-offs of display size and pixel density. Put another way, we want a stat that allows us to fairly compare across device categories. CLICK TO ENLARGE: Pixels per degree (PPD) shows you how crisp a screen will appear to the human eye. In order to calculate PPD for each device, we need two things: PPI and average viewing distance. We already have the first figure, but the second will require some subjectivity. There’s no empirical standard for viewing distance. We based the following viewing-distance estimates on TV manufacturer recommendations for various screen sizes. We kept things simple. assuming that viewing distance would be directly proportional to screen size. CLICK TO ENLARGE: When you factor in screen size and viewing distance, 5K displays fare well against other high-res device displays. For its size, the 5K monitor is the most impressive display on the market, boasting 242 pixels per degree. That’s over 25% better than a 4K monitor, twice as good as a Galaxy S5 and nearly four times better than the original iPad Mini—the same device that it “barely” beats according to PPI. So next time you’re shopping for a new smartphone, tablet or computer monitor, keep a close eye on which specifications you’re comparing. PPI can be helpful within a given product category, but across all devices, PPD is likely the more useful metric. As always, context is king. Behind the Spec Sheet seeks to draw new insights based on hardware data. Produced by FindtheBest, a company that aggregates specs and features in a centralized database, this guest column will share data-driven discoveries and surprises, and attempt to expose common misconceptions.